This web site isn't all about my intense writings. I have fun also. 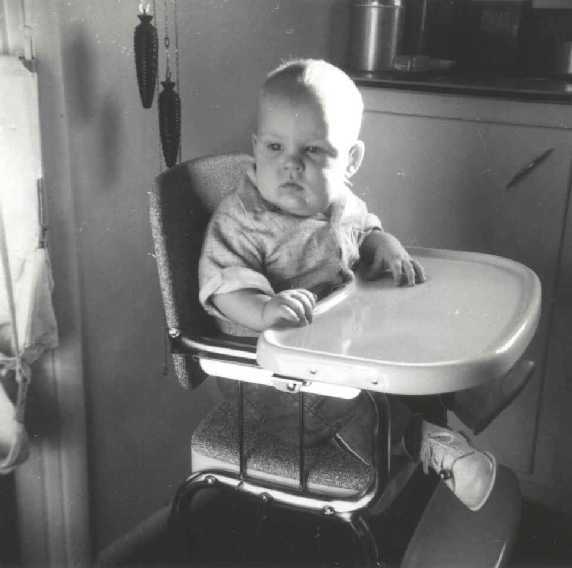 I was born in Seattle, a third generation Washingtonian. Although the story of how Europeans "settled" this land is not pretty, here is where I came into the world. I am a hiking "fanatic," enjoying my time in the mountains and wilderness immensely. Below are some shots accumulated over the years. 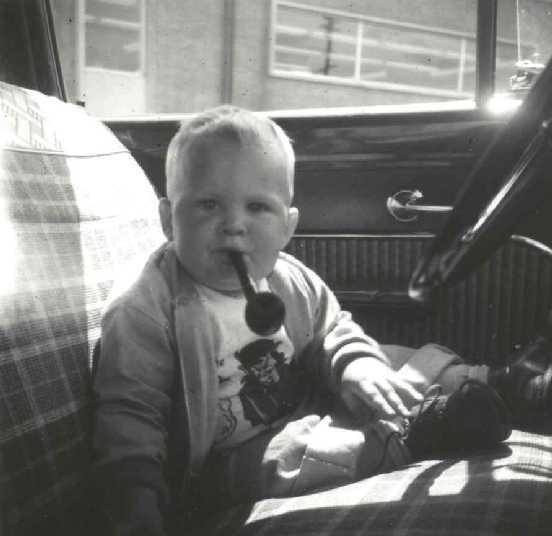 I began developing my bad habits at a very young age. 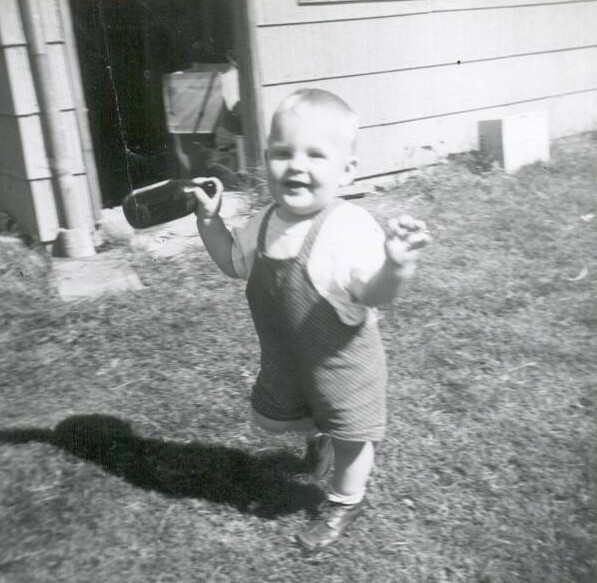 I am not sure if my first vice was smoking, gluttony or drinking, but I obviously indulged all the them. 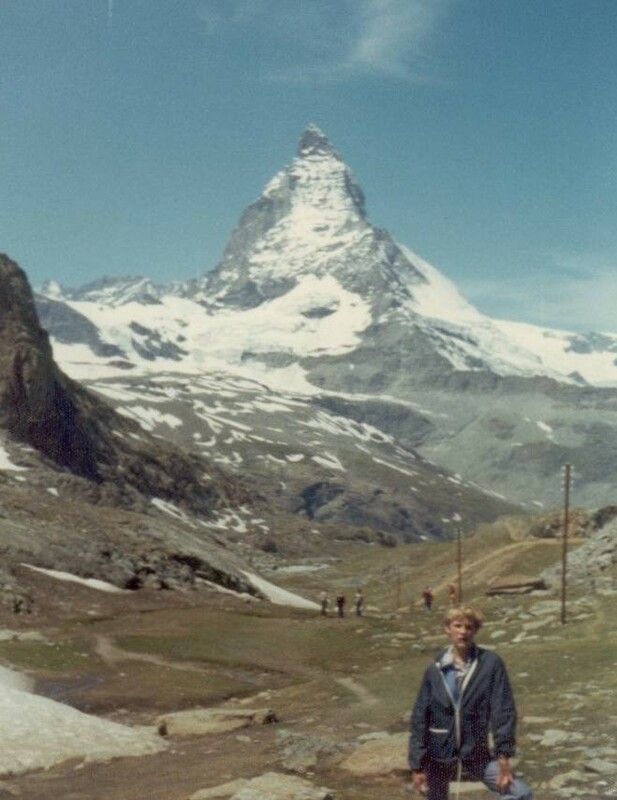 The first picture above was taken during the the second mountain hike of my life, hiking from the ski resort next to the Matterhorn down to the legendary village of Zermatt in 1974. It sure is a lot easier hiking downhill than uphill! 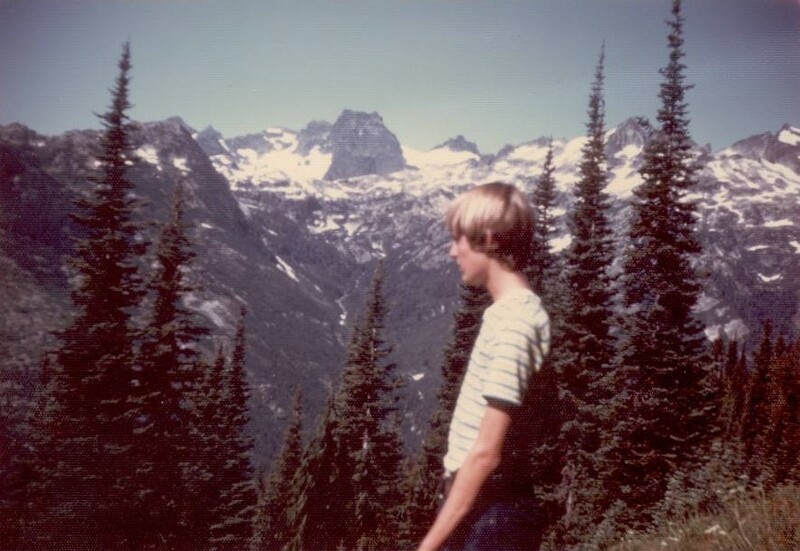 My first hike was done the year before, when my uncle took me and my brother on a day hike in the Cascades. The next year, my uncle took me on my first backpack, and the next image is from that trip. 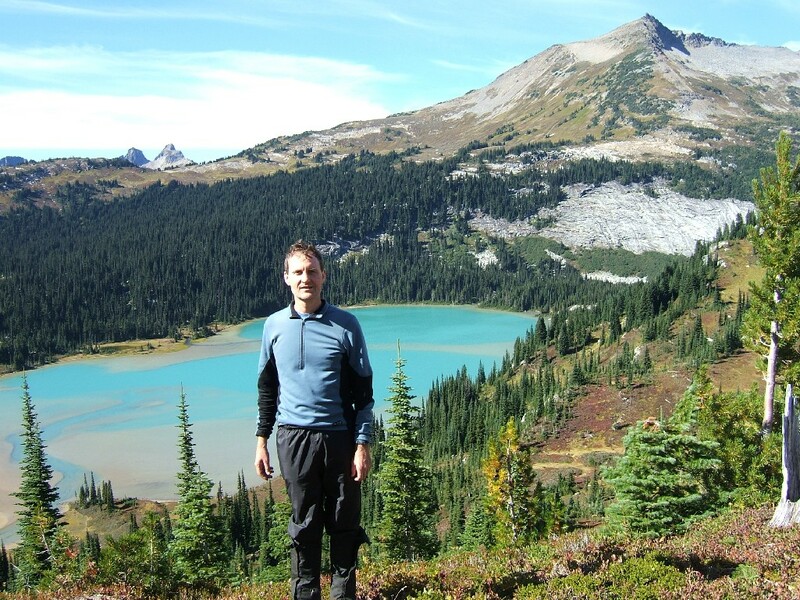 I am standing in a meadow above Waptus Lake in that photo. I was hooked on hiking from that time forward, even though the mosquitoes swarmed us on that trip. 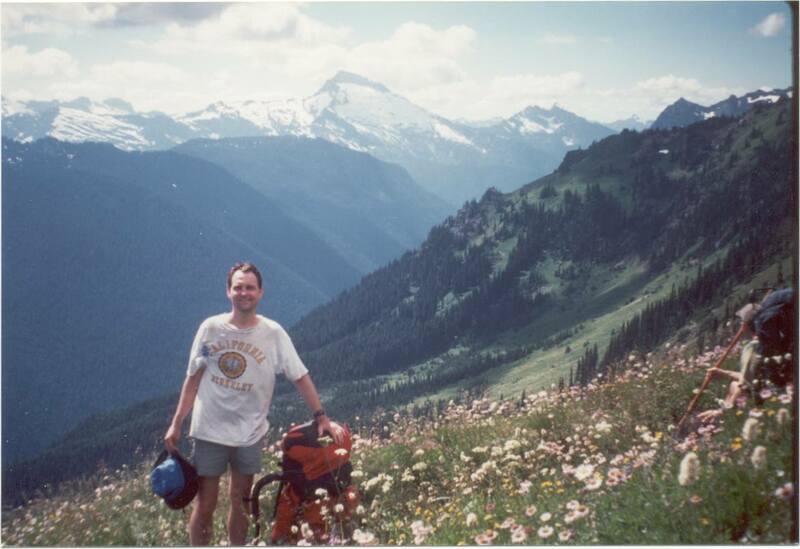 The third photo is of me, hiking with that same uncle in 1998, on the backside of Mount Si, in Seattle's backyard. The fourth is me on on Sahalee Arm in 1986, above Cascade Pass. 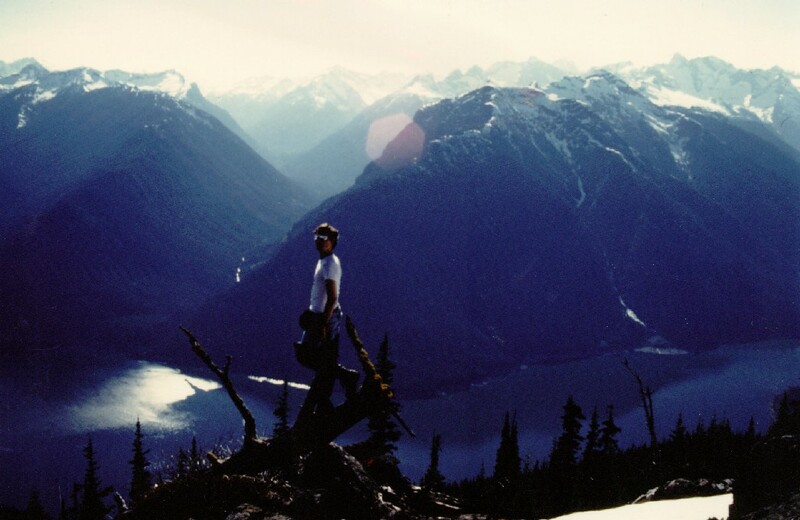 The fifth is one peak over from Desolation Peak, where Jack Kerouac spent a summer watching for fires, with Ross Lake and the Little Beaver Valley in the background, 1986 (I have hiked up the Little Beaver Valley twice since that picture was taken). 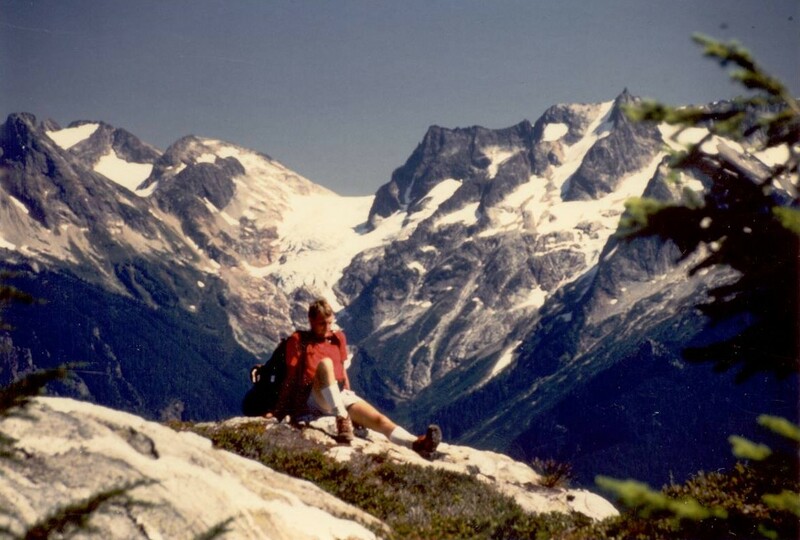 The sixth is me resting on Trapper Peak in 1986, in North Cascades National Park. 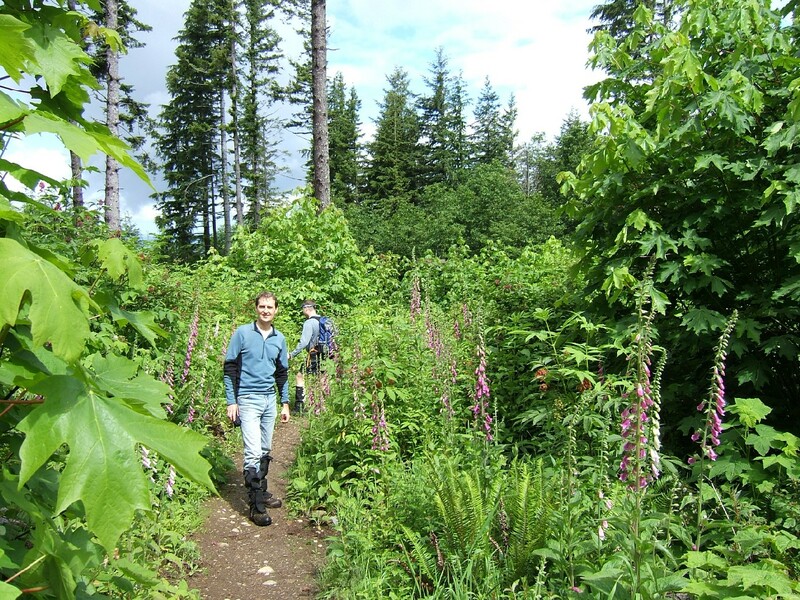 The last is a "meat-and-potatoes" hike on Rattlesnake Mountain in 2005 (there are no poisonous snakes in Western Washington - the mountain got its name from its shape), playing in the foxglove. 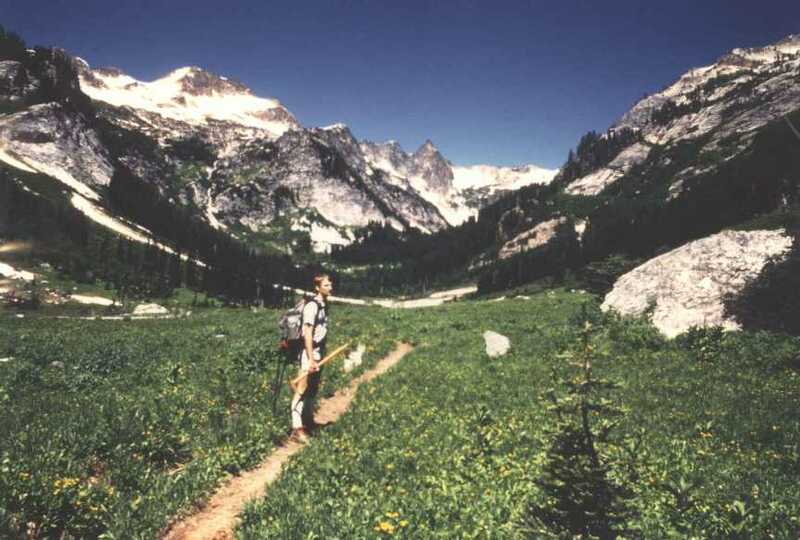 The first of the above two is of me in Spider Meadow in 1986, in Glacier Peak Wilderness Area. The second is my college roommates and me on Mt. Whitney in 1990. Meadows I have known. 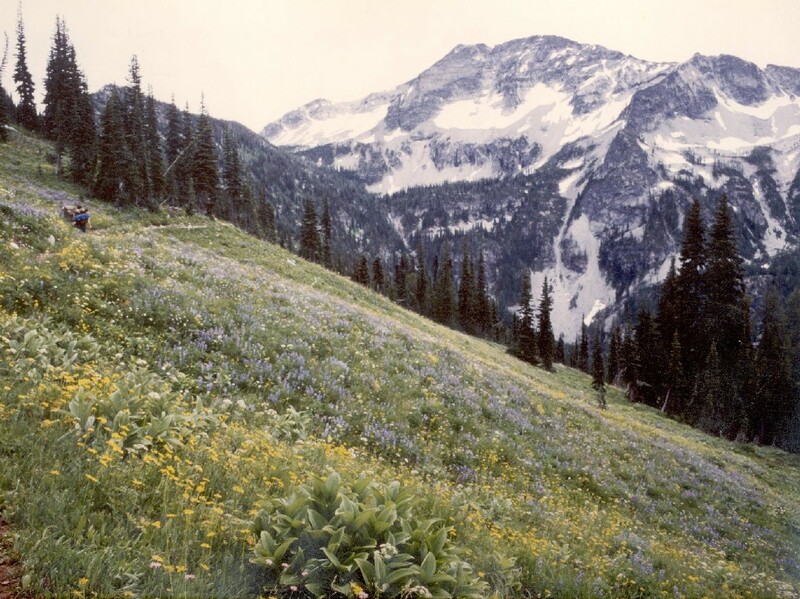 The first is on Sourdough Peak, 1998, on a pathless mountainside that nobody ever gets to. The second is on the way to South Pass Lake, in Lake Chelan Recreation Area, 1983. The first image is below Shepherd's Pass in the Sierra Nevada range, 1990. John Muir Trail is in the distance. Awesome country. The second image records one of the more sublime moments of my life. 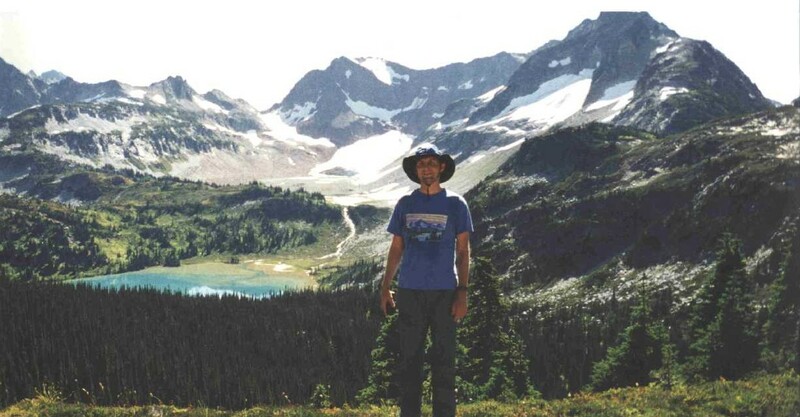 It was taken at Blue Lake on October 16, 1999, on the back side of Liberty Bell Mountain in North Cascades National Park. The golden trees are larches, which are deciduous conifers. Finding larches in autumn foliage (the needles are very soft) on a clear day is not easy to do. Those were the first autumn larches that I had ever seen in person. After many years of longing for a sight of the autumn larches, I finally experienced it. The third photo is of a larch grove near Blue Lake. I climbed off trail and into a grove of them and hung out with the golden larches. It will always be a vivid memory. These photos are taken at both ends of the Lyman Lakes basin, surely one of the world's most beautiful. 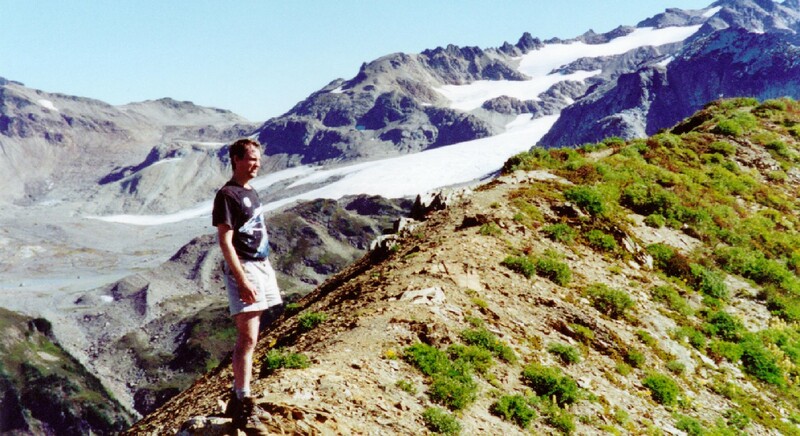 In the first photo, just below my left shoulder the snout of Lyman glacier is visible. People can walk up and touch that glacier. 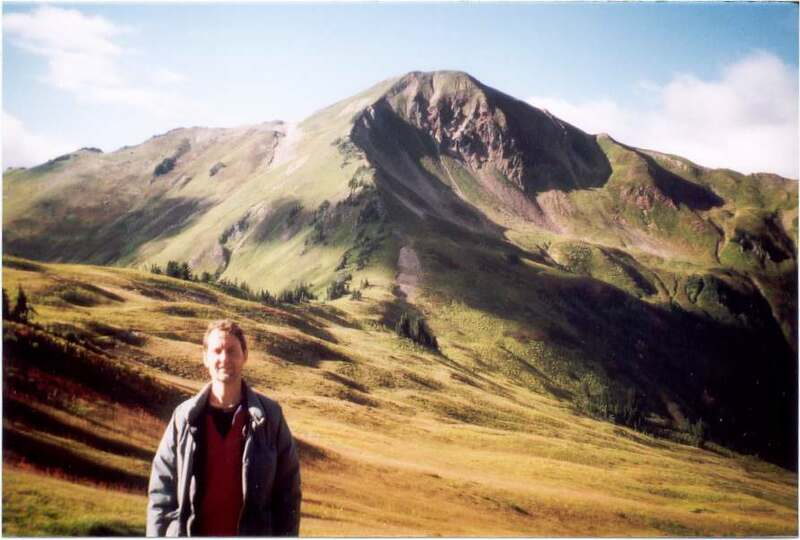 The second photo was taken the next day, in September of 1997, from Cloudy Pass, after we had hiked through that awe-inspiring valley. We got to the valley the "easy way," hiking 3,600 feet and eight miles over Spider Gap. We were on our way to legendary Image Lake. The blueberries were harvestable, and my brother and I suffered from purple mouth disease for several days. Somebody has to do it. 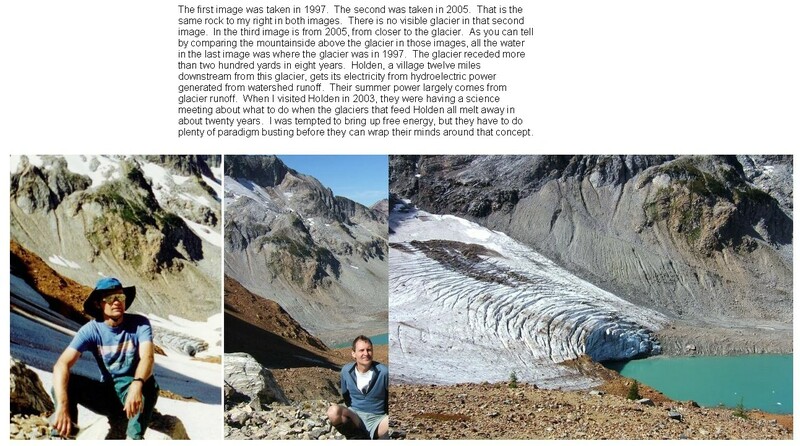 The next is a global warming picture, comparing Lyman Glacier from 1997 to 2005. The next is of me taking a break from blueberry picking above Lyman Lake. Cloudy Pass is in the background. One friend lived here for many years before really hiking in the Cascades. She used to live in the Alps and California, and although she had never hiked in the Cascades, she was skeptical that they could really compare to the Alps or the Sierra Nevada range. She made it to Cloudy Pass on her first Cascades backpack, and she likened it to the opening scene in What Dreams May Come, when Chris and Annie meet (that scene can be seen here). I will not disagree. The last is of me with Image Lake and Glacier Peak in the background. I hope I see that place again. Today, in 2009, the shortest path to Image Lake is by hiking twenty fairly demanding miles, one way. The first is on the way to White Pass, in 2000, with Sloan Peak in the background. The area was so spectacular that I returned the next year, with the next two taken from the top of White Mountain. In that middle image, that is a partially de-glaciated southern flank of Glacier Peak in the background, which was the first time that I saw dramatic evidence, with my own eyes, of the reality of global warming. The meadow in the photo's middle is where we camped for a few nights, and I picked a half gallon of blueberries. The next is looking back up at White Mountain, with me standing on the Pacific Crest Trail, next to the meadow where we camped, on the same day as the previous two were taken. That next photo was taken on September 8, 2001, about the last time I was emotionally "up," until my midlife crisis finally ended in 2007. The last photo is taken during my return trip to White Pass in 2006, playing in the flowers (those Dr. Seuss-ish plants are Anemone occidentalis - AKA "Mouse on a Stick"). That is the third time that I have been there, and it surely won't be my last. 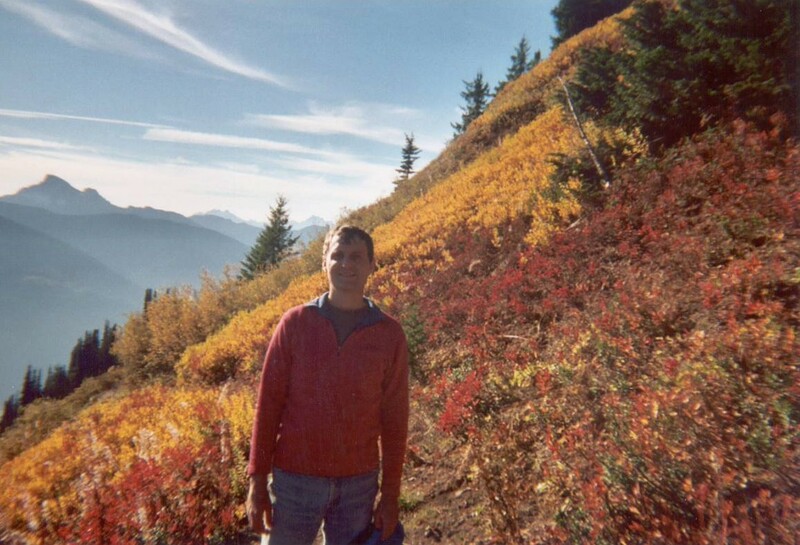 The first is of me on Green Mountain (near Glacier Peak Wilderness Area), on a dazzling day in late October, 2002. 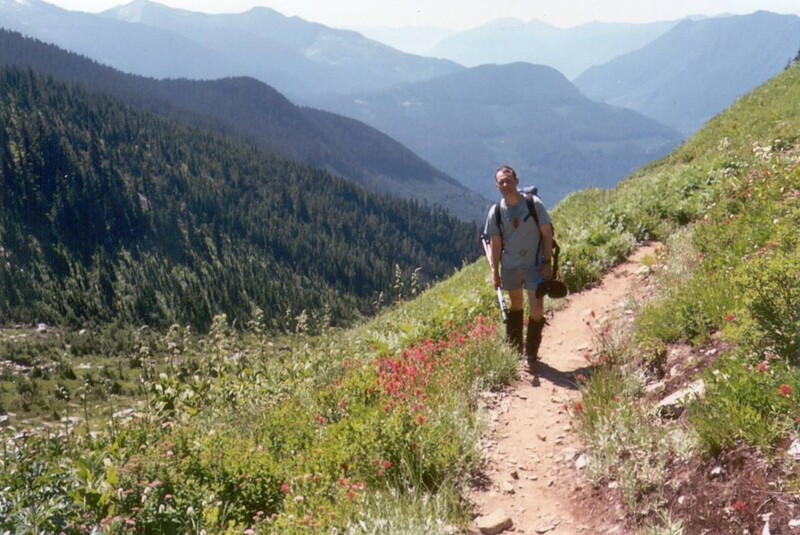 The second is on the trail to Hidden Lake Peaks, in North Cascades National Park, in 2003. The third is my brother crossing a creek near Cutthroat Pass, in North Cascades National Park, in early summer 2004.